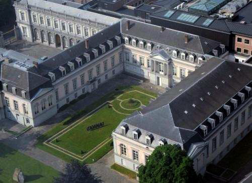 The Workshop will take place at the Egmont Palace in Brussels, Belgium, from 27 to 29 June 2012. The Workshop will be held in the Arenberg Room starting at 9:00 a.m. Registered participants are requested to come in the hall outside the conference room on 27 June 2012 at 8:30 a.m. The following list includes other hotels available in the area. Participants to the Workshop are responsible for their own reservations. A medical service from the Belgian Red Cross will be available at the Workshop venue to participants requiring first aid medical assistance. The closest local hospital is 2,5 km from the Workshop premises. All costs incurred in the hospital or for other medical care will be the responsibility of each individuall participant.